Размер на този преглед: 800 × 514 пиксела. Други разделителни способности: 320 × 206 пиксела | 640 × 411 пиксела | 1024 × 658 пиксела | 1280 × 823 пиксела | 2048 × 1316 пиксела. 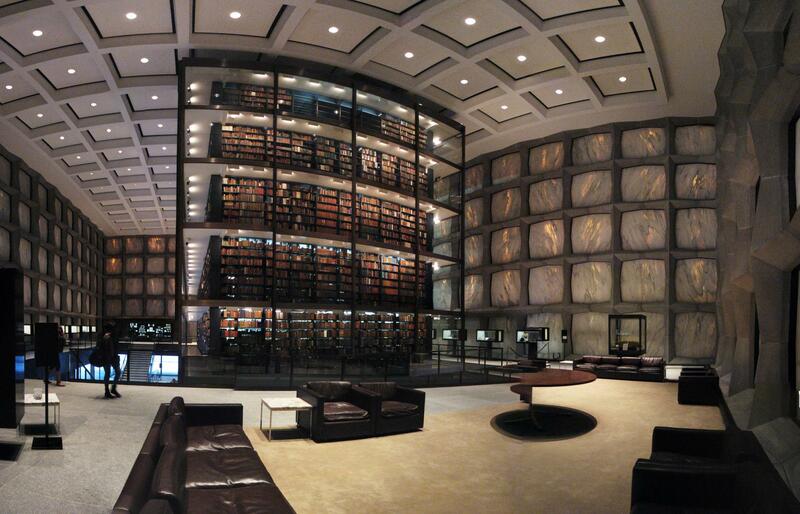 To emphasize the beauty of these rare books, they were set up to be the centerpiece of the building. All the books were placed around the core like a large display case. The exterior skin is composed of thin marble panels that allow light to show through but not damage the books. This image, which was originally posted to Flickr, was uploaded to Commons using Flickr upload bot on 27 декември 2011, 22:50 by Fetchcomms. On that date, it was confirmed to be licensed under the terms of the license indicated.